The primary purpose here is to briefly outline and illustrate how one particular relationist/realist ontological approach to performative research, with a focus on professionals’ subjective interpretations of intangibles/intellectual capital, may be capable of generating reasonably substantive findings. Methodologically the paper illustrates, if in skeletal form, how adopting a Habermasian performative attitude allied with Wittgenstein’s use-theory of language may direct performative research on values, value orientations, norms and legitimacy as a means of addressing the subjective interpretations of worker/manager/professional groups. Drawing on a case vignette, personal value orientations towards intangibles/intellectual capital provide both the performative methodological access points and the empirical focus. The performative method applied appears capable of generating reasonably substantive findings. Value orientations towards intangibles/intellectual capital are clearly present in the human resource (human capital) profession; what is striking is their apparent absence in the finance/accounting (financial capital) profession as the phenomenon may be perceived by the latter to lack professional accounting legitimacy. Mutually-recognised inter-subjective meanings, inclusive of common value orientations towards the case site’s intangible value creating processes, are apparently absent in this professional relation. 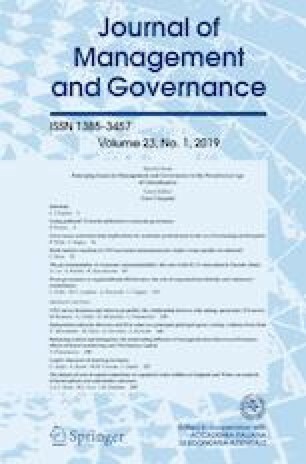 Theoretically, ontologically and methodologically influenced by Habermas and Wittgenstein the paper illustrates the potential of adopting a performative attitude towards values, norms and legitimacy as a means of addressing the subjective interpretations of workers/managers/professionals towards emergent business concepts such as intellectual capital or indeed integrated reporting. We are particularly grateful to all in Epharm without whose cooperation this research would not be possible. The first author acknowledges research funding support from a Graduate Centre of Business Scholarship at the University of Limerick and the University College Cork, College of Business and Law, Early Career Faculty Research Fund. Comments on the paper from colleagues Tom Kennedy, Peter Cleary, Niall Dolan, Nora Dolan and Paul O’Donnell, from Jan Mouritsen and others at EIASM13 in Ancona where an earlier version of this paper received an award, constructive suggestions from the anonymous reviewers, plus the encouragement from the guest editors of this special issue Stefano Zambon, Maria Serena Chiucchi and Stefano Marasca, are gratefully acknowledged here. The usual disclaimer applies.